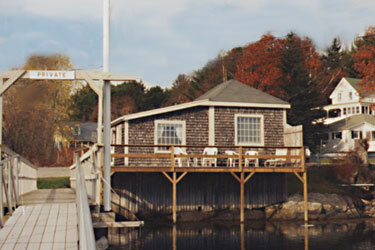 Dockside Cottage is a one bedroom cottage on the water! Included are one bedroom (1 king bed or 2 twin beds), 1 bath (shower), fully equipped kitchen and living area with cable TV. We also supply an outdoor gas grill. Cottage available April through October. For pricing see our Rates and Policies page.